This entry was posted in newspapers and tagged advertising, local newspapers, Trinity Mirror on July 31, 2008 by Paul Bradshaw. RSS readers: why have just one? Recently my long love affair with Bloglines has been hitting the rocks. I’ve been seeing another RSS reader. Yes, it’s Google Reader. This entry was posted in online journalism and tagged Andrew Dubber, Bloglines, computer aided reporting, google reader, online journalism blogs, RSS, RSS readers, tailrank on July 30, 2008 by Paul Bradshaw. 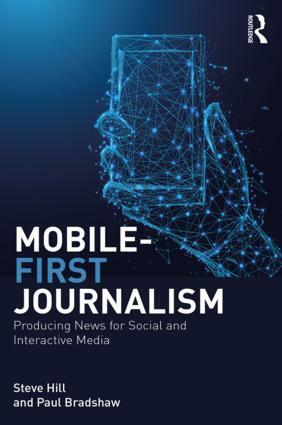 How remiss of me not to mention that the second edition of Investigative Journalism is now out, including a chapter on ‘Investigative Journalism and Blogs’ by yours truly. 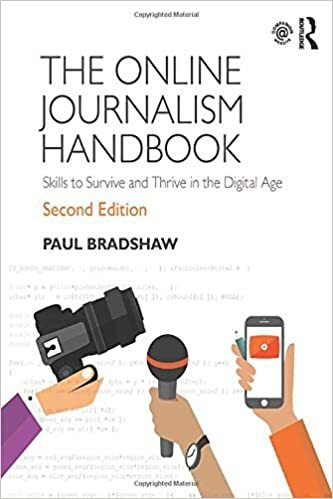 As it happens, if you buy it from the OJB Amazon affiliate shop (or anything else for that matter) the commission will go towards an ‘open source’ investigative journalism venture I’m putting together. This entry was posted in online journalism and tagged book, investigative journalism, paul bradshaw on July 28, 2008 by Paul Bradshaw. This entry was posted in mobile and tagged advertising, ap, associated press, local newspapers, mobile advertising, mobile news network, paul bradshaw, Trinity Mirror, vodafone on July 25, 2008 by Paul Bradshaw. This entry was posted in online journalism, SEO and tagged betfair, link building, nick garner, redundant journalists on July 24, 2008 by Paul Bradshaw. This entry was posted in online journalism on July 24, 2008 by Paul Bradshaw. Should journalism degrees still prepare students for a news industry that doesn’t want them? UPDATE (Aug 7 ’08): The Annual Survey of Journalism & Mass Communication Graduates suggests employment opportunities and salaries are not affected. The LA Times is cutting 150 editorial jobs and reducing pages by 15%; The Atlanta Journal-Constitution cutting nearly 200 jobs; the Wall Street Journal cutting 50 jobs; Thomson Reuters axing 140 jobs; in the UK Newsquest is outsourcing prepress work to India, while also cutting jobs in York and Brighton; Reed Business Information, Trinity Mirror and IPC are all putting a freeze on recruitment, with Trinity Mirror also cancelling its graduate training scheme and cutting subbing jobs. In the past two months almost 4,000 jobs have vanished at US newspapers (Mark Potts has this breakdown of June’s 1000 US redundancies). In the past ten years the number of journalists in the US is said to have gone down by 25%. Given these depressing stats I’ve been conducting a form of open ‘panel discussion’ format via Seesmic with a number of journalists and academics, asking whether journalism schools ought to revisit their assumptions about graduate destinations – and therefore what they teach. The main thread is below. This entry was posted in online journalism and tagged adam tinworth, alison gow, Andy Dickinson, david cohn, david cushman, emap, Jo Geary, journalism education, kevin anderson, LA times, Liverpool Post, mark comerford, Mark Potts, media degree graduates, media organisations, neil macdonald, online journalism education, patrick thornton, sarah hartley, The Atlanta Journal, The Atlanta Journal-Constitution, the Birmingham Post, The Guardian, the Manchester Evening News, Thomson Reuters, Trinity Mirror, Wall Street Journal, web editors, youtube on July 23, 2008 by Paul Bradshaw.